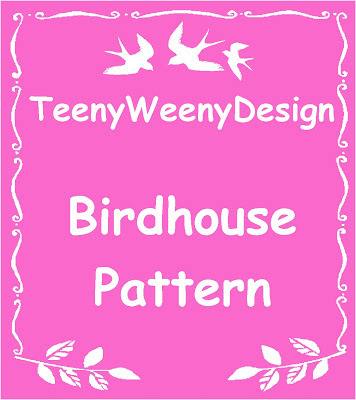 TeenyWeenyDesign: By populair demand; Pattern of my Birdhouse!! Guess what! 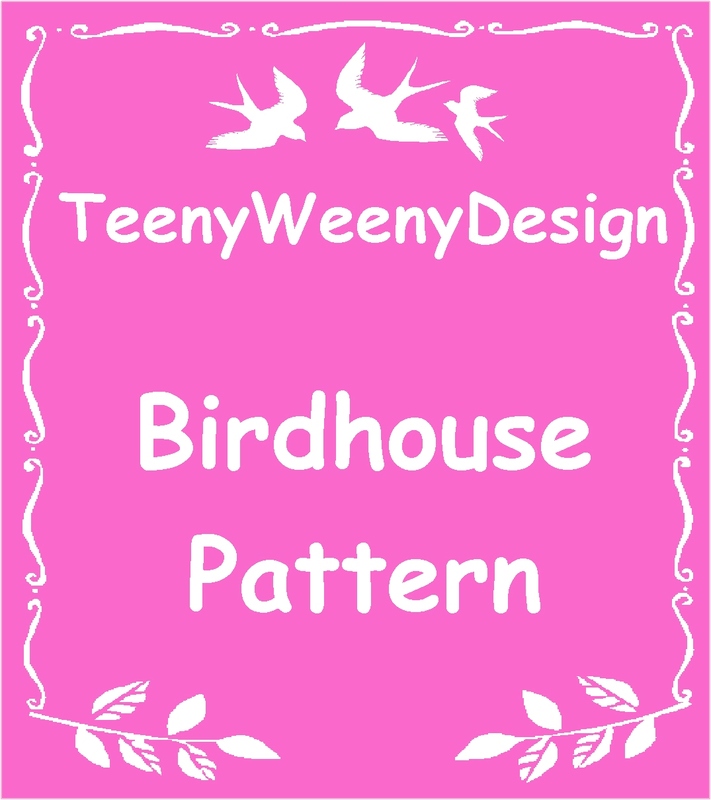 I have finished the pattern of a birdhouse. It needs some more pictures but is already available in my webshop!! When you order I will strive to email you the pattern in a PDF file within 24-48 hours! Thought you'd all like to know this! I started at 2 p.m. and it is now 11 pm! Phew! Time flies! I have to go to bed, because I have to go to work tomorrow. But I'll finish the last details when I come home. I'm excited to see it and have a go at one of my own! Hi, I am unable to find this pattern for purchase in your etsy shop. I would like to buy it.